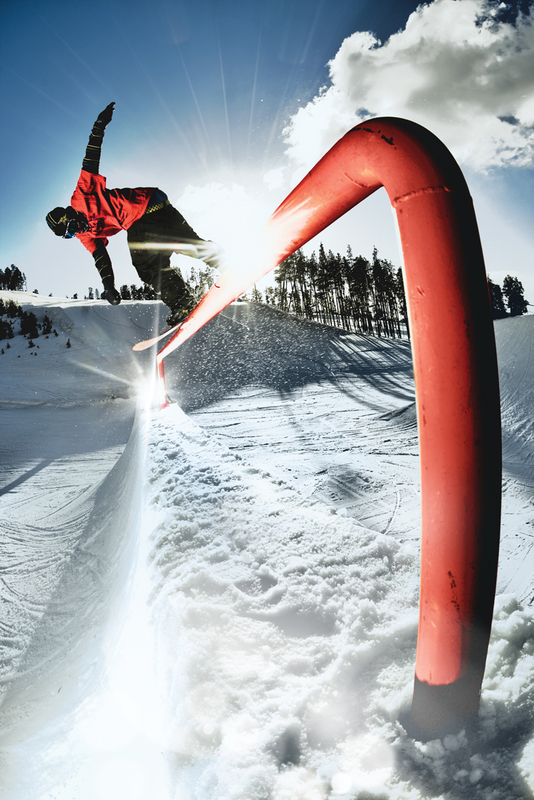 The snowboarding industry hasn’t heard much from Keystone team rider Andreas Wiig this year. He sprained his ankle during a practice run at the Winter X Games and has been laid up pretty much ever since. This week, Wiig drove north from Newport Beach, California (where he is about to close on a house up the street from the city’s best surf break), to film with Forum in the boundless backcountry around Whistler, his first significant riding in two months. But for Wiig, 29, any riding is better than none. He grew up watching fellow countryman Terje Haakonsen transform what was then a nascent sport — more a cult than the worldwide industry it is now. “I’ve probably seen ‘Project Haakonsen’ a thousand times,” Wiig said. He began finishing respectably in major contests, honing his slopestyle skills in particular. In 2004, he took bronze at Winter X, and in 2006, silver. But the defining gold medal eluded him. Leading up to the 2007 X Games, Wiig did something few snowboarders are willing to do. He rode the park exclusively for two months, intent on winning gold. “It was my biggest goal,” he said. The devotion paid off. He treated himself to three months of powder thereafter. How a Norwegian park specialist came to ride for a family resort in Colorado is an interesting story. About five years ago, Wiig was staying in Breckenridge and training in the resort’s famed Freeway park when he drove over to Keystone for a day in A-51, the reputation of which was nothing like it is now. Now, Wiig spends almost his entire early season at Keystone, staying at the base of the resort and testing himself on A-51’s 100-plus features each day. He’s as approachable as he is talented, never denying a fan or grommet the chance to shoot the breeze with a superstar. “I’ve seen it with my own eyes many times,” Knapp said. Whereas some pros use their summers as a time to separate themselves from their sport, Wiig works constantly with the Norwegian national team’s strength and conditioning experts. “He trains like an Olympic ski racer,” Isaacs said. But that won’t happen for at least 10 to 15 years, he said.